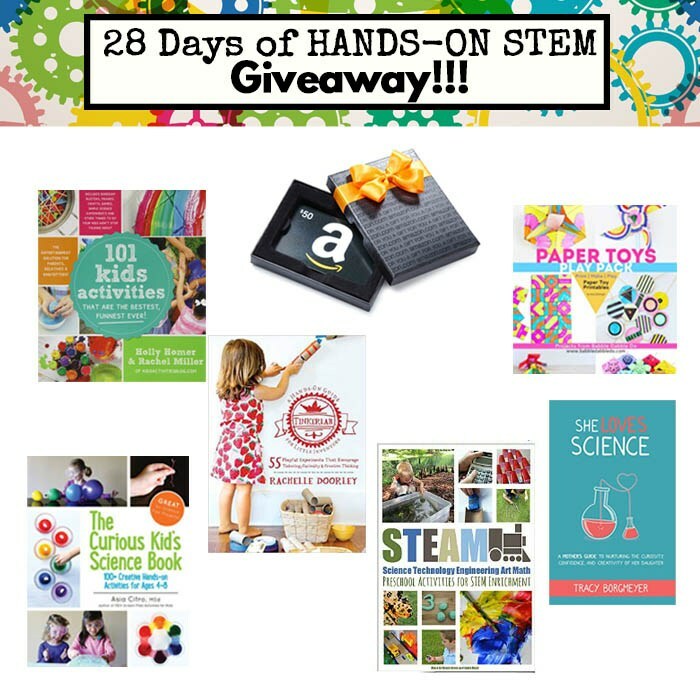 28 Days of STEM Giveaway! During the month of February I participated in an awesome blog series called 28 Days of Hands-On STEM Activities for Kids. Every day during February more than 25 bloggers shared over 60 ideas for science, technology, engineering, and math activities. To celebrate this awesome series we are hosting a giveaway! It’s a pretty sweet one, too. One $50 Amazon gift card – Holla!